Once again this August, the Lollapalooza music festival rolls into Chicago's Grant Park for three days of live music August 1 through August 3. This year's acts include a diverse range of musicians that span the gamut from fresh-on-the-scene to straight-up legendary, including Lorde, Outkast, Kings of Leon, and Iggy Azalea. Although Lollapalooza has found a permanent stateside home in Chicago (the annual festival travels to various cities in South America for a few days each summer, too) since 2005, the music festival has a much longer history. Lollapalooza was originally conceived in 1991 by Perry Farrell, lead singer of the band Jane's Addiction, as part of a grand farewell tour for the band, pulling in a ton of other popular alternative music acts. From 1991 to 1996, although Jane's Addiction was no longer a band, Farrell kept the Lollapalooza festival alive, making pit stops at outdoor venues in large and small cities alike throughout North America. His original vision for the festival celebrated peace and harmony and incorporated a number of aspects of underground culture that weren't necessarily music-related. Shaolin monks and side-show performers stood together alongside artists peddling their wares and non-profit representatives raising awareness for various political and environmental causes. Farrell's involvement with the festival ended in 1997 when he objected to the direction his creation was now taking and decided to focus on other musical projects. From 1998 through 2003, Lollapalooza quietly faded into the ether. The new promoters were unable to find acts interested in performing and the general public's interest in alternative rock had dwindled. In 2003, Perry Farrell resurrected the band Jane's Addiction and the Lollapalooza festival itself. It wasn't as successful as initially hoped and the following year, the tour was cancelled due to poor ticket sales. In 2005, Farrell teamed up with an established concert promoter to produce the festival, making it a three-day event centered in Chicago instead of the multi-city tour it had been in the past. 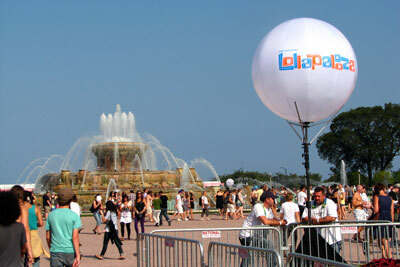 Since then, Lollapalooza has been going strong, although it has changed considerably. Whether you're a Chi-Town resident or planning to make the trek out to the Windy City for one of the longest-running music festivals today, there are plenty of great things to do in Chicago leading up to the show and for continuing the good vibes after the final chords fade. Chicago CityPASS gives you admission to the best attractions in Chicago at a savings of 50%, with VIP and Fast Pass access to boot. Inspired after seeing some of your favorite artists play live? Why not pick up an instrument of your very own or meet up with other music lovers at the Chicago Music Exchange? Located at 3316 N. Lincoln Avenue, this music store has a huge selection of amazing guitars, drums, and more. Not only do they offer lessons, but the shop attracts music-lovers from around the globe who enjoy chatting about what sounds move them. Combine your love of craft beer with a love of punk rock and take a tour of Revolution Brewing. 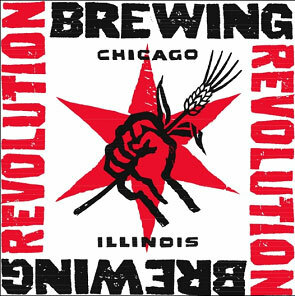 Revolution Brewing holds tours of its craft-beer brewery on Kedzie Avenue, where they make a host of unique beers, such as the floral Rosa Hibiscus Ale or the hearty Usethe black lager. The brewpub itself is housed at 2323 N. Milwaukee Avenue in Chicago. Revolution Brewing also offers delicious local farm-to-table offerings, with options for both omnivores and vegetarians. From time to time, the pub hosts such events as the Empty Bottle Punk Rock Swap Meet where you can trade music memorabilia and beer-and-food-pairing sessions inspired by punk bands. Frank Lloyd Wright started an architectural revolution that earned him the title of "the greatest American architect of all time" from the American Institute of Architects. His home in Oak Park, which he built in 1889 at age 22 with $5000 loan from his employer, is now a National Historic Landmark. The home, as well as the studio that Wright added, has been restored to its 1909 condition, the last year Wright lived at the residence. 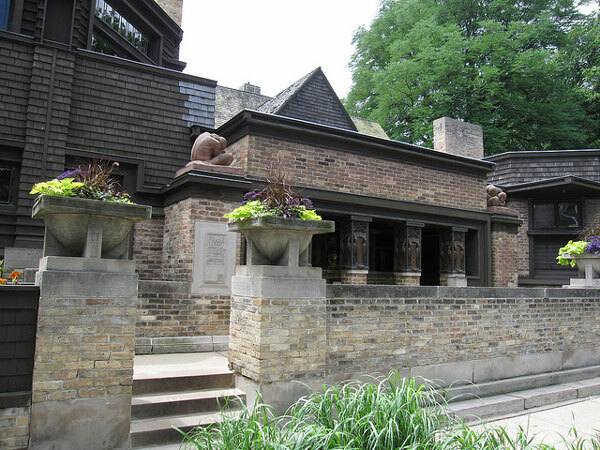 Now open to the public as a museum, this beautiful and educational Chicago attraction allows visitors the opportunity to learn about Wright's life and work and the influence he had on architecture, both world-wide and in the surrounding area – he designed many nearby homes, too. The museum offers guided tours of the home and studio as well as the neighboring historic district seven days a week. There are a ton of Chicago attractions to check out in the Second City. Follow the music, grab some deep dish pizza and enjoy some of the unique offerings this metropolis has to offer!